Targret: noun; the regret you feel leaving Target after spending $150 on…well, you’re not exactly sure what. But you needed it all. Target has agreed to pay out a total of $10 million to customers adversely affected by the data breach it suffered in 2013 Target Confirms Up To 40 Million US Customers Credit Cards Potentially Hacked Target Confirms Up To 40 Million US Customers Credit Cards Potentially Hacked Target has just confirmed that a hack could have compromised the credit card information for up to 40 million customers that have shopped in its US stores between November 27th and December 15th of 2013. Read More . Individual victims are allowed to claim anything up to $10,000 in damages, but most will be due a lot less than that. The hack on Target’s systems resulted in up to 40 million credit card and debit card numbers being stolen in the weeks following Black Friday 7 Scams to Watch Out for on Black Friday and Cyber Monday 7 Scams to Watch Out for on Black Friday and Cyber Monday While you shop for deals this Black Friday and Cyber Monday, scammers will be looking for YOU. Here's how to shop safely online. Read More . 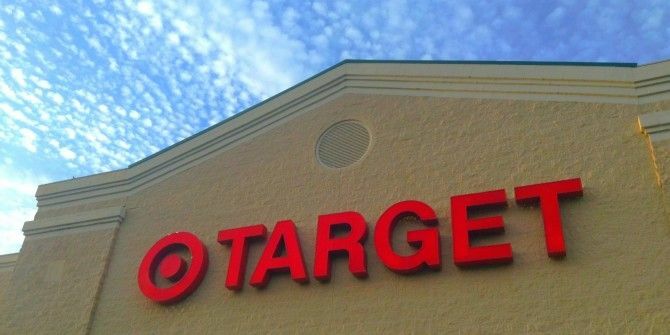 The hackers are alleged to have accessed Target’s system using stolen credentials, before using malware to skim data from the big-box retailer’s point-of-sale devices. The cyberattack is reported to have cost banks and credit unions up to $200 million, dwarfing the $10 million being offered. However, it’s hopefully still a sum of money large enough to persuade Target and others to improve their security measures. PlayStation Vue Streams in U.S.
Sony has officially launched its streaming television service designed to compete directly with cable companies. PlayStation Vue is initially available to anyone who owns a PS3 10 Of The Best PS3 Games You Must Play [MUO Gaming] 10 Of The Best PS3 Games You Must Play [MUO Gaming] This generation of games consoles is coming to an end, with the Wii U already having arrived to usher in the next-generation, and successors to both the PS3 and Xbox 360 expected in 2013. However,... Read More or PS4 PS4 vs Xbox One: 5 Reasons To Buy The PS4 PS4 vs Xbox One: 5 Reasons To Buy The PS4 E3 2013 marked the moment when the next-generation truly began, with all three contenders -- the PlayStation 4 (PS4), Xbox One, and Wii U -- revealed in full. The Wii U is already on the... Read More living in New York, Philadelphia, and Chicago. An iPad version will be launched at a later date. Prices start at $50-per-month, which gets you around 50 channels, including NBC, CBS, MTV, TNT, FX, and Comedy Central. Unfortunately, there is no ABC, although Sony is sure to be working on securing a deal with the network. The $60 package adds sports channels, while the $70 package adds mostly music and lifestyle channels. The PlayStation Vue user interface seems to on the right track, looking like a cross between cable and Netflix. Sony is offering a week-long free trial for those in the launch cities, which should be enough time to know whether this is enough to warrant cutting the cord Cut That Cord! How to Ditch Cable Cut That Cord! 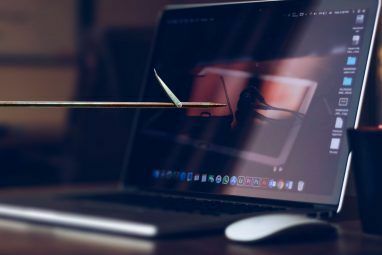 How to Ditch Cable If you've read about the cord-cutting phenomenon but aren't sure where to start, this is a guide to cutting the cord and ditching cable TV for good... Read More . If you’re bored of your Facebook friends but don’t have either the time, the patience, or the heart to unfollow them one by one, Hushbook could be the answer to your prayers. It won’t lessen the number of friends you have, but it will sweeten your timeline 5 Tools To Help You Find Anything In Your Facebook Timeline 5 Tools To Help You Find Anything In Your Facebook Timeline Where is that post I shared on Facebook?! Sound familiar? What many people don't realize is there's a far better alternative than endlessly scrolling down your or a friend's Timeline. Read More considerably. 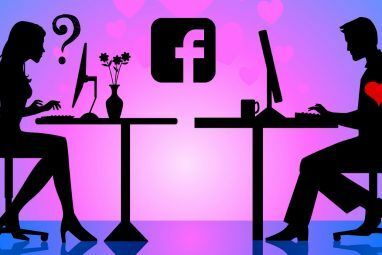 Hushbook is essentially Tinder without the hookups, as it goes through your Facebook friends list helping you decide who to keep in your digital life. You swipe right to keep things as they are, and swipe left to unfollow them (with confirmation required to avoid any rash decisions). At the time of writing, Hushbook is unavailable after Facebook requested it be removed from the App Store. But it should be back soon. And if it doesn’t return perhaps we should all delete our accounts How To Permanently Delete Your Facebook Account [Weekly Facebook Tips] How To Permanently Delete Your Facebook Account [Weekly Facebook Tips] For whatever reason you may have, one day you might find yourself wanting to delete a Facebook account. Perhaps you had a few accounts and want to delete the extra ones. Maybe you want to... Read More as revenge for Facebook’s pettiness. You can now play tennis on your television using your smartphone as a motion-controlled racquet. This is possible thanks to Motion Tennis Cast [No Longer Available], a free Chromecast sports game from Rolocule. This developer previously released Motion Tennis, which does the same thing using an Apple TV and iPhones. Motion Tennis Cast runs on your Android device, with you using your phone as a Wii-like motion controller while the action all takes place on your TV. You can even play friends you challenge to a game through Facebook or Google+. Rolocule is also working on a version for Android Wear Which Android Wear Smartwatch Is Best For You? Which Android Wear Smartwatch Is Best For You? In the market for an Android Wear smartwatch? Let's compare all the options available now and make the decision easy. Read More . While Netflix’ user interface works perfectly on touchscreen devices, it’s a bit tiresome using it with a keyboard and mouse. The worst thing being sitting there with the cursor on the arrow endlessly scrolling horizontally through the various movies and TV shows available to watch. Developer Renan Cakirerk has fixed this annoyance with a browser bookmarklet called Netflix God Mode. 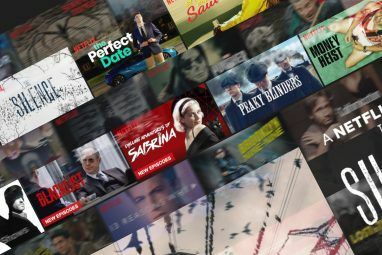 If you click on it while watching Netflix, the roster of content expands into one easily viewable list. Thus killing the need to scroll left or right until you see something you like. And finally, you can now recreate the speeder bike chase from Star Wars VI: Return of the Jedi without needing to risk and life and limb doing so. This is thanks to Adam Woodworth, who combined parts from a drone with a Hasbro toy to create a real-life speeder bike. Will you be chasing compensation from Target? Are you interested in subscribing to PlayStation Vue? Is the speeder bike drone the coolest drone you have ever seen? Explore more about: Facebook, Netflix, Online Security, PlayStation. It turns out that up to 100 million customers may have been affected. With 40 million Target accounts affected, paying out $10 million comes out to a staggering 25 cents per account. That certainly will punish Target for having weak security!